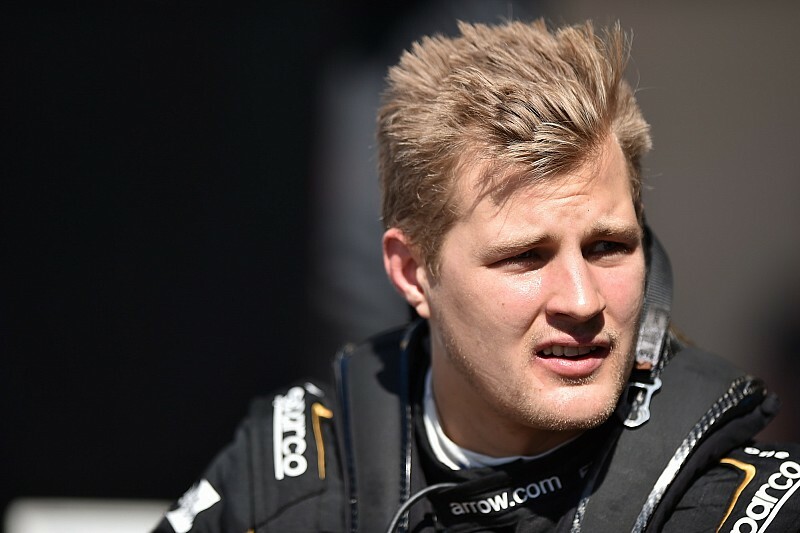 Arrow Schmidt Peterson Motorsports-Honda driver Marcus Ericsson makes his IndyCar race debut at St. Petersburg in under three weeks. 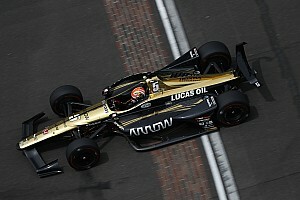 He talked to David Malsher about his preparations and the prime differences in driving demands between IndyCar and Formula 1. You’ve sounded determined and optimistic so far. Now you’ve got most of your testing out of the way, are you still confident about your IndyCar prospects? Yes, I still feel good about it. 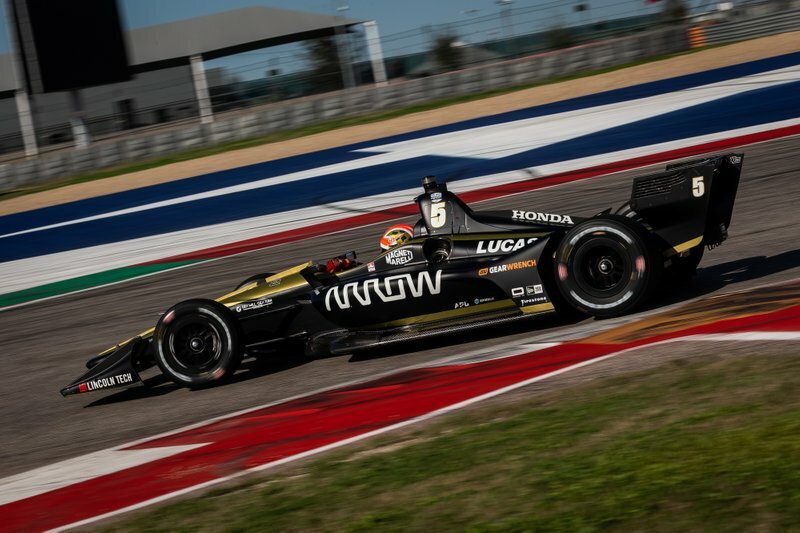 I felt the days at COTA [two days in IndyCar’s official Spring Training] I really started to get into the groove of it and had some good sessions. I really feel like I’m starting to gain an understanding of the car and what you need out of it. I’m getting there. It’s been different, it’s been a process, but like I told you at the Laguna test, I feel that I’m really making progress. It’s great. Have you done any long runs and tested your ability to look after the Firestones over an entire stint? Hmm… we’ve done long-ish runs although I wouldn’t say we’ve done a full race stint simulation. But yes, we’ve studied the degradation and for sure it’s not as critical as in Formula 1 but there’s still some tire-saving needed in IndyCar, especially I imagine at the warmer races. Hopefully it will be one of my strengths – it was one of my strong points in Formula 1 – to preserve the tires while going fast. I’m definitely planning to bring that skill with me. Do you feel you’re already on the same page as your race engineer [Blair Perschbacher] in conveying what the car is doing? Yeah I feel like me and Blair have got into a good relationship, we’re understanding each other more and more. There’s always going to be an issue in the first couple of races but I think it’s off to a good start. He’s a brilliant guy, and he’s been around a lot, so that helps me too. I feel like I have a good understanding of how he works, and he understands me as well. That’s going to be crucial for a strong end result. Around Circuit of The Americas, are the corners you consider crucial in an F1 car the same as those you consider crucial in an IndyCar? I would say so, yes. The whole first sector, with those fast turn combinations, is still super-quick and it’s so easy to get out of rhythm there. You mess up one of those 10 corners, and the rest are messed up – same as in Formula 1. You really need to get into the rhythm of that section. Another critical part of COTA, I feel, is Turns 12/13/14. 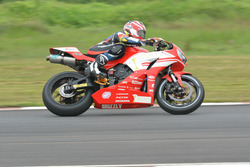 It’s very tight and technical and slow but it can gain or lose you a lot of lap time. It’s a challenging track but a fun one, and it really is a joy to drive in both cars. You’ve now had experience of F1 brakes and IndyCar brakes. Do you think the longer brake zones in IndyCar produce more passing opportunities – at COTA and in IndyCar in general? One hundred percent. I think in Formula 1 the last couple of years the cars have been so extreme on the downforce side that the braking zones are so short now and it’s always going to be difficult for overtaking. That’s one of the great things about IndyCar: the cars are quite light on downforce and it means the braking zones for sure are quite a bit longer. I believe the IndyCar race in COTA [the IndyCar Classic, March 22-24] will be really, really good. 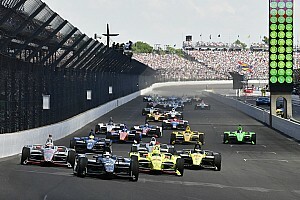 Already that is one of the better tracks for passing in Formula 1, so I’d imagine with IndyCar it will be great for the fans, there’ll be a lot of wheel-to-wheel. Although the brakes are weaker than in an F1 car, do you feel an IndyCar reacts more to weight transference under heavy braking? Yeah, that’s one of the things I found interesting – the way the IndyCar pitches. It’s very delicate the way you have to shape your braking, and the way you come off the brakes. For me, it was a lot more challenging than a Formula 1 car because F1 has so much more grip in that phase. In an IndyCar, you need to be a lot more precise in your technique with how you ease off the brakes and combine that with the turn-in. That’s been one of the ultimate learning processes for me – that it’s so critical in an IndyCar the way it pitches on the brakes. A lot of drivers comment on the current IndyCar’s natural tendency to understeer from apex to exit. Is that something it has in common with F1 or another thing you’ve had to adapt to? I think what I’ve found is that in IndyCar, the balance is a bit more all over the place compared with Formula 1! You have to get used to that and work around it. Again, as a driver you can help the situation by the way you brake and apply the throttle to make the balance better. In Formula 1 it’s easier to sort of dial out the balance issues and perfect it, whereas in IndyCar it’s more difficult to dial out those characteristics with mechanical changes in the pits. Instead you have to drive around it. 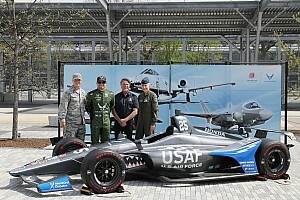 But that’s fine – that makes IndyCar more difficult to drive, more challenging for us drivers. It’s a different thing. OK, it’s maybe not so nice to drive, but if it’s more difficult that is also good and brings satisfaction. You only ever raced in F1’s hybrid era. Have you gotten used to the fact that you no longer have that instant surge of acceleration, that you’re not being thrown backward by the thrust? Actually, I would still say the main difference is the corners themselves, not the power. In Formula 1 there is so much grip, you can attack the corner so hard and be so aggressive in corner-entries, and that doesn’t really work in IndyCar. You have to bring that back a bit and be more precise in the mid-corner to exit. It’s still a fast car and it has a certain amount of downforce – it’s not like it’s a completely different car to drive. It’s more the details. I’m sure you’ve watched a lot of onboards and other footage from St. Petersburg. Is there any track in F1 that you can compare with it? Pfff… Well, parts of it are tricky and technical so in some ways I’d compare it with Monaco, but in other ways it’s like Baku – some of the middle section of that track. But honestly, the important thing is just to approach it with an open mind and trying to learn everything I possibly can without trying to make those comparisons. You’ve done five days in an IndyCar – or four-and-a-half days because of the rain at Laguna Seca. Do you feel underprepared compared with your F1 debut? No, no, the opposite. I think I only did half a day of running for Caterham F1 team before my first grand prix! I was extremely underprepared for F1. So compared with that, I feel fine with IndyCar, quite honestly. I mean, any chance you get to test is valuable and we plan to run at Sebring on the Monday [March 4] before St. Petersburg to perfect everything. 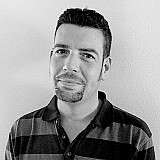 But I’m experienced enough now to know what it takes to prepare for a new car, and I feel ready to get rolling. What next for ‘embarrassed’ Williams in Barcelona?